Although medical and management disciplines are world apart from each other, however like any other aspect of life, medical profession too requires proper management to prosper. For those who find it hard to manage all their medical accounts Medical calendar is one software tool that may prove to be really handy. The easy use and understandability of the tool makes is ideal to be used by an individual practitioner or even an entire health center as well. The tool efficiently helps in the creation of an efficient and competent schedule for a single person or the whole staff and is equally workable for all medical professions including dermatology, dental practice, paediatrics, orthopaedic, psychiatry, gynaecology and family medicine. Using the Doctors menu each doctor in a health center can organize a personal profile for his or herself saving all related information in it. 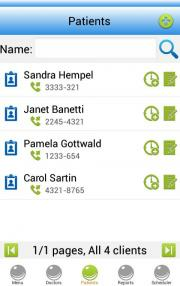 The Patients function allows doctors to maintain all contact details of their patients. 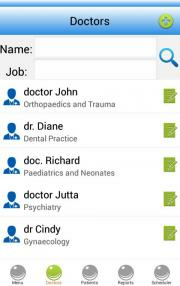 The Reports function allows doctors to save all patients’ history and ongoing treatment details. 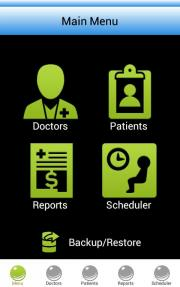 The Scheduler allows doctors to maintain all appointments of patients. The Medical Calendar also allows the total earning per day to appear under the date every day in short font, making it easy to calculate the daily and monthly earnings as well. SOFTWARE BEARS ALL RISK AS TO THE QUALITY AND PERFORMANCE OF THE SOFTWARE. READ THIS LICENSE, UNDERSTOOD IT, AND AGREED TO BE BOUND BY ITS TERMS.